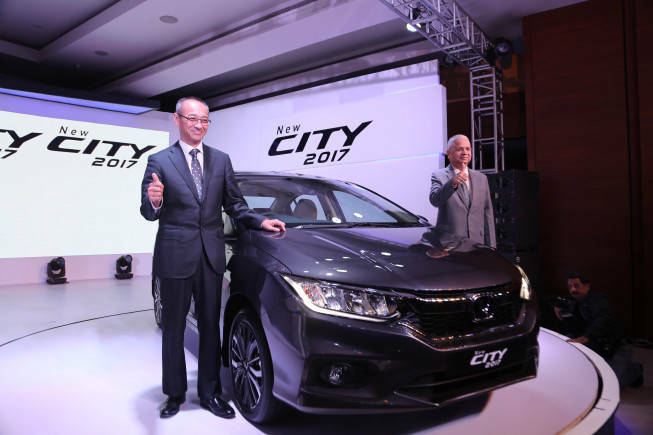 After serving the world for decades as a reliable, stylish and technologically-advanced sedan, the Honda City has finally received the attention it deserved. Coming up with a manual transmission variant for the top trim of the beloved City, Honda has answered the decades-long call of petrolheads. With the new Honda City ZX silently adding its name to the line-up, here is a list of things you should know about it. Honda has added two new colours, radiant red and lunar silver metallic, to the already extensive range of colours. This is to ensure that the City retains its fresh look and appeal for the audience. Having someone scream out instructions while parking is passé. Complying with the latest trend, Honda has made the rear parking sensors a standard accessory across all trim levels. Sporting a 1.5L inline four-cylinder petrol motor, the ZX makes about 119 PS of peak power, and 145 Nm of torque at 6,600 and 4,600 rpm respectively. A 5-speed manual transmission controls the engine.Other featuresSince the ZX is the top variant of the City lineage, Honda has spared no expense in lining it up with the best of safety features. Armed with airbags, LED headlight, LED DRL, LED taillight, LED license plate lamps, electric sunroof, 16-inch machine cut alloys, auto headlights, automatic rain sensing wipers and touchscreen infotainment system, along with other optional accessories, the top line trim offers excellent value for money.